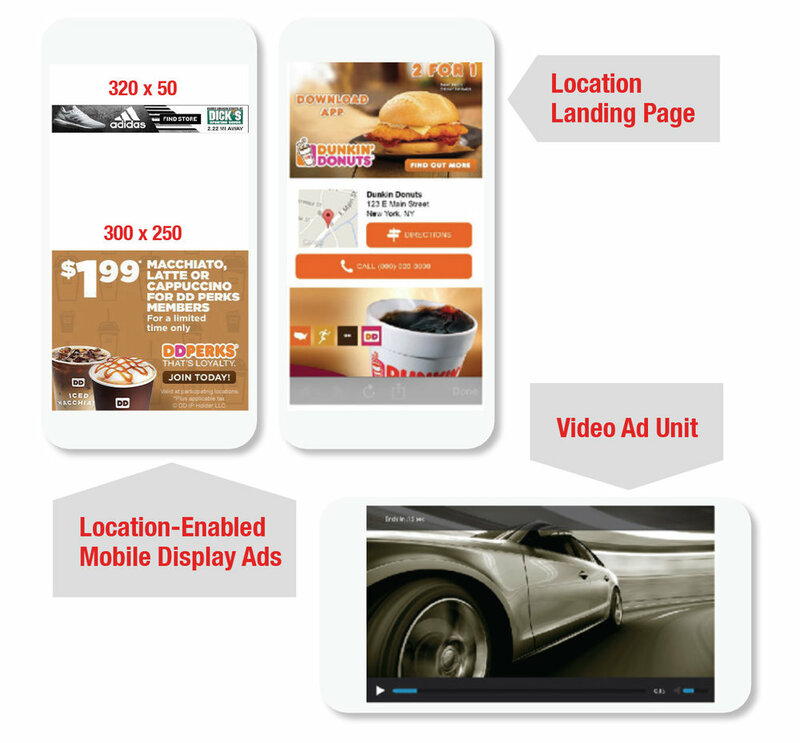 Leverage Real-World Data with Mobile-Location Advertising! and attribution and ROI tracking with EYE’s Amplify Mobile Platform. Reach people who have visited a brand-specific or category locale within a specified timeframe, up to 90 days. Leverage data from thousands of brands and major chains. Leverage more than 128 segmented audiences and overlay real-world visitation behavior with demographic data. Reach consumers when they are in the defined vicinity of a specific location to impact immediate and future behaviors. By adding mobile-location advertising to your clients’ media mix, you empower brands and businesses to create more holistic and impactful campaigns that drastically improve the ROI. sites such as weather, news, sports, mapping, and directories.